HABITAT - has a 21 day water use restriction. Precautions with irrigation, cattle and other water usage should be taken into consideration. Always read label and follow all safety precautions related to this product. HABITAT - is designed to control undesirable emergent and floating aquatic vegetation in or around standing and flowing water. Aqua-King (surfactant) is recommended to use with this product. APPLICATION RATE FOR HABITAT: Normally 2 2/3 oz. per gallon. Spray directly on emergent vegetation. Be aware of drift and applying on desireable vegetation. Never treat more than 1/3 of your body of water at a time giving 7-10 days between treatments. These rates may not be applicable for your circumstance or situation. Use recommended rates & percentages on label. Imazapyr is designed to control undesirable emergent and floating aquatic vegetation in or around standing and flowing water. 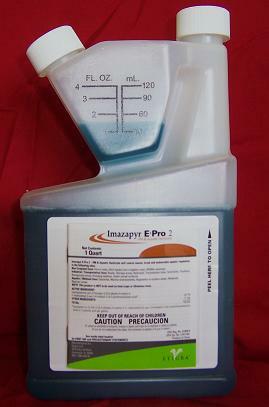 Imazapyr is an excellent solution for vegetation control on Lily Pads, Primrose, Cattails and many other emergent species. 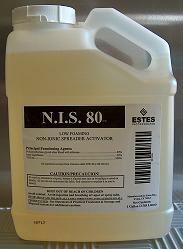 This products should be purchased with NIS Surfactant for best results. Do not apply to water except specified in the labeling. Do not treat more than 1/3 of the surface area at a time. Wait 10 to 14 days in between treatments. Do not use on food crops or apply this product within 1/2 mile upstream of an active potable water intake, river, stream, lake or reservoir.